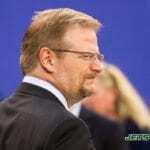 Florham Park, NJ – Concerns over the Jets offense this season were quieted Monday night when the team erupted for 48 points, 349 yards of total offense and three touchdowns. In the much awaited debut of Sam Darnold, the players who shined included the entire offense. The offensive line, who had not played a single snap all preseason together, looked shaky at first on Monday but then turned it around for the better. In two of the first three possessions Darnold was sacked on third down, ultimately ending both drives. At first it looked like this might be the trend for the rest of the night, but it wasn’t. From there on out Darnold looked poised, with a comfortable pocket that allowed him time to settle down and make his reads. The offensive line has been a major concern coming into the season, there’s no denying that. Jet fans had even called for Teddy Bridgewater or Josh McCown to be the week one starter simply because of the lack of stability coming from the offensive line. A similar case can be looked at in Indianapolis, where the Colts spent multiple seasons ignoring their poor offensive line play, only to watch their star quarterback, and future of the team, go down with season ending injuries. Not only did they outplay expectations for protecting Darnold, but they provided key lanes for the Jets to do what they do best, run the ball. The one-two combination of Isaiah Crowell and Bilal Powell accounted for 162 yards on just 22 carries, good for a 7.3 yards per carry clip. Crowell had two touchdowns to go with that. The first came from six yards out, where his extra leap to the endzone was just enough to give the Jets their first points of the game. He then added a 62 yard touchdown run to seal the game late in the third quarter. In week one it was apparent that Darnold may have found his new favorite connection. 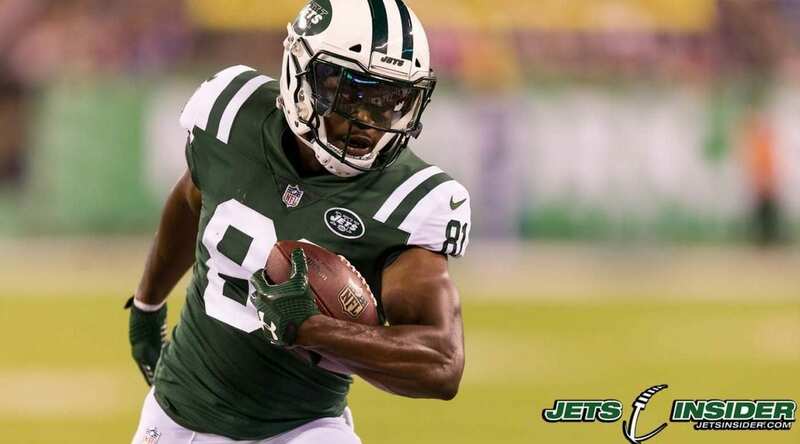 Quincy Enunwa returned to the field in a big way after missing the entire 2017 season with a neck injury. He reeled in six catches for 63 yards and one monsterous touchdown. Darnold used Enunwa as a safety blanket, looking his way for multiple third down conversions in the middle of the field. The size, catching ability, and toughness to absorb contact were on full display against the Lions. Darnold’s 21 yard touchdown in the third quarter came when Enunwa ran an out route, picked up a blocker, and dragged the defender six yards into the endzone. A shear bully play, Enunwa looked like he was in his old form. Although Robby Anderson was limited to one catch, he still made that one catch count. Getting Anderson going was difficult for offensive coordinator Jeremy Bates, but in the second quarter Darnold was able to link with him on a 41 yard deep lob for his first career touchdown. Anderson did a great job of locating the ball and taking it away from the defender’s hands. For now the offense turns the page to week two where they host their home opener against the division rival Miami Dolphins.